Acrylic sheet is a thermoplastic sheet available in clear and colours in a wide range of thicknesses, finishes and special grades. It is used for a multitude of applications such as shop displays, signs, glazing, splashbacks, furniture design and can be readily fabricated and formed. We supply cast and extruded acrylic sheet in cut to size pieces or in full sheets. We can also cut shapes (from basic to intricate) using our in-house CNC routing tables and laser cutting machinery. 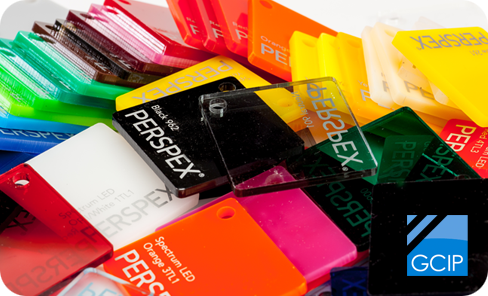 We sell genuine Perspex® cast acrylic sheet.